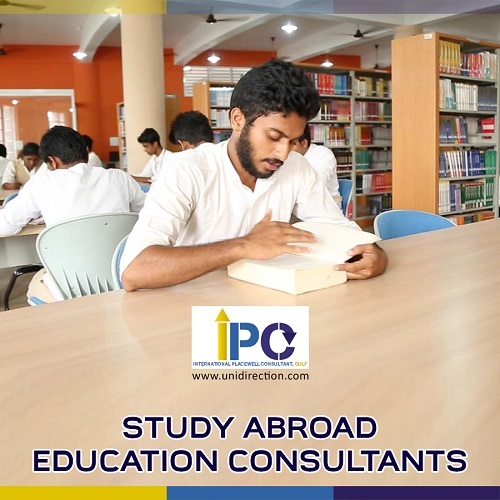 IPC > Blog > Study in Abroad > How to Convince Your Parents to Study Abroad ? How to Convince Your Parents to Study Abroad ? Let’s start with the good news: studying abroad is the most profitable investment for your future. The news a little worse? It is an investment that involves moving away from home and you may have some difficulty convincing your parents to let you explore and conquer foreign lands. However, learning to learn another language abroad is also a unique experience: the result of your efforts in terms of academic success and the broadening of your career prospects, tinged with a touch of maturity and independence. Studying abroad is a concept that keeps paying – here’s how to sell it to your parents. First of all, you will have to convince your parents that you take the adventure very seriously and that you do not miss anything to study abroad. Have good grades at school, start learning the language in class or online – you can also cook food, read books and watch movies from the country. Your parents must be convinced that you are really interested in the language and culture in question and that you are ready (and able) to make the necessary efforts. Speaking of providing the necessary effort, how about doing as much research as possible on the intended destination and your future school, then putting all this information together in one beautiful presentation? Would you support all your arguments, so that your parents would immediately begin to help you pack? Study English in UK to submerge yourself in a new culture allows teens to become well-rounded adults. Expanding one’s horizons is crucial nowadays, and nothing is more powerful to become a citizen of the world than to travel the world, to gain intercultural experience and to move with ease abroad. Learning to adapt to a new environment will also help you become more mature and independent, and studying abroad will permanently enable you to quickly become a responsible young adult, which is, in any case, more or less the main focus of your parents. Study in Australia will help you maximize your academic performance. You’ll get better grades, and after a short break away from home, you’ll feel refreshed and healthy to start the school year from a new angle. No one can deny that spending an enthusiastic school year earning excellent grades is a real cherry on your academic cake. When it’s set to find an internship or a job, having international experience can give you a competitive advantage over other candidates. Depending on the intended career, gaining mastery of another language is the key to success. Moreover, being bilingual will allow you to claim a higher salary, which means that you will be able to spend more on gifts for your loved ones. Next tip, valid not only for your parents but also for your loved ones in general. During your weeks or months abroad, you will experience many exciting experiences, from which those who do not share them with you will probably feel excluded. Promise your friends and family to call them and send them text messages- or better yet, keep in connect with them through social media accounts.